I teach photography workshops through BugShot, a collaborative venture initiated by myself and other leading insect photographers. Visit the BugShot website for more details. 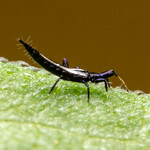 May 9-12, 2019 – BugShot/California Insect Photography Workshop – registration now open! 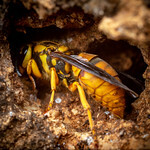 August 17-24, 2019 – BugShot/Ecuador Tropical Insect Photography Workshop – sold out. Please contact Alex (alwild [at] myrmecos.net) with questions, or if you’d like to arrange a private session or a public talk.